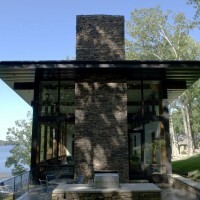 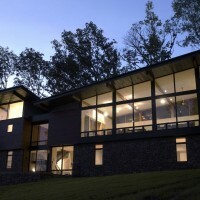 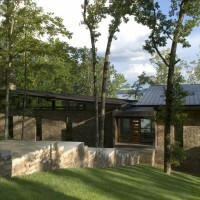 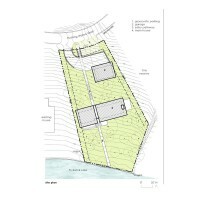 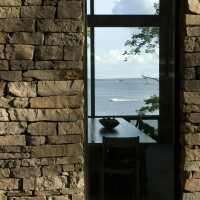 Archimania designed the Wurzburg Lakehouse in Pickwick, Tennessee, USA. 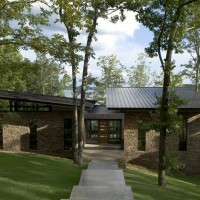 Project Description: A modern vacation home for a Memphis-based family, located in a wooded subdivision on Pickwick Lane. 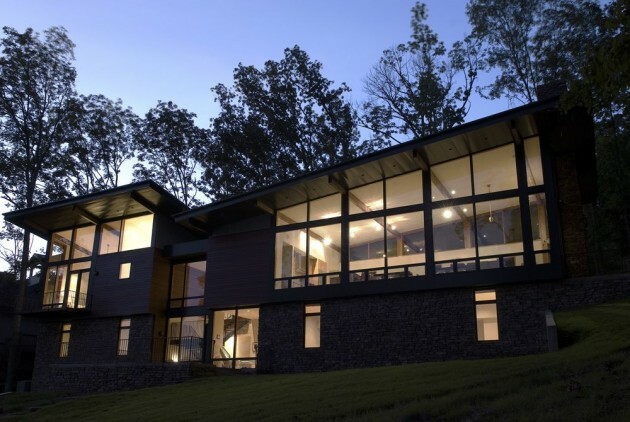 Solution: To maximize panoramic views of the Lake, this 3,500 SF waterfront home is partially embedded into its sloping site. 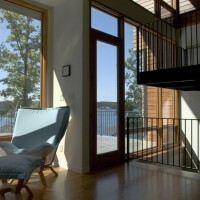 The entry pathway into the home splits the main volume into distinct public and private zones, resulting in a dramatic framed view of the lake upon entry. 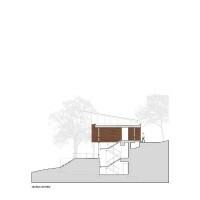 The low sloped roof of the public zone directs you to views of the forest, white the private zone opens toward the water. 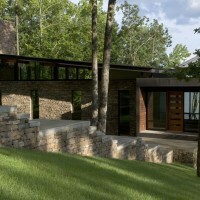 These light wood and glass volumes sit atop a heavy stone and concrete base, which anchors the home to the site. 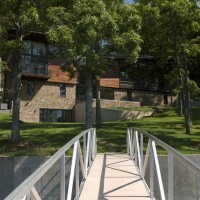 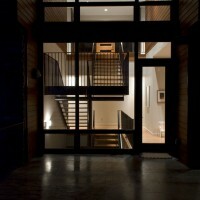 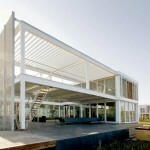 Bottom-line: A comfortable, modern getaway, the home provides a welcoming retreat from city life. 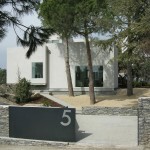 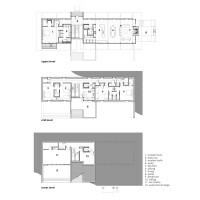 Visit the Archimania website – here.